With Avengers: Infinity War and Avengers 4 set to add a huge amount of new Marvel characters to the Avengers team, fans have been wondering which characters are going to get sacrificed in order to give enough screen time to the rest of the characters. Well there are plenty of smaller characters in the Avengers movies and for a while it looked like we knew who would be getting chop. Former How I Met Your Mother actress Cobie Smulders plays the role of Maria Hill in the Marvel Cinematic Universe and she has already appeared in a number of Marvel movies to date. 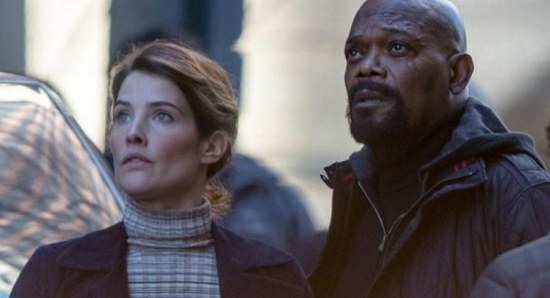 However, most of the fans around the world have been convinced that we were not actually going to get to see Cobie making a return as Agent Hill in the new upcoming new Avengers movies, which we were a little upset about. Now though, it looks like that has definitely changed, after it has been confirmed that Cobie Smulders has been seen back on set as Maria Hill, although it is not clear exactly exactly which movie it is for. While some have suggested that it could well be some reshoots for some scenes for Avengers: Infinity War, others have claimed that it must be scenes for Avengers 4. We have to admit that we are not too bothered which movie the scenes are for, as we are just glad to have Cobie Smulders back as Maria Hill. With that said, we would much prefer to see her appearing in both Avengers: Infinity War and Avengers 4, which could also happen. We will just wait until we officially find out. When will we see Emily VanCamp back as Sharon Carter in the MCU?